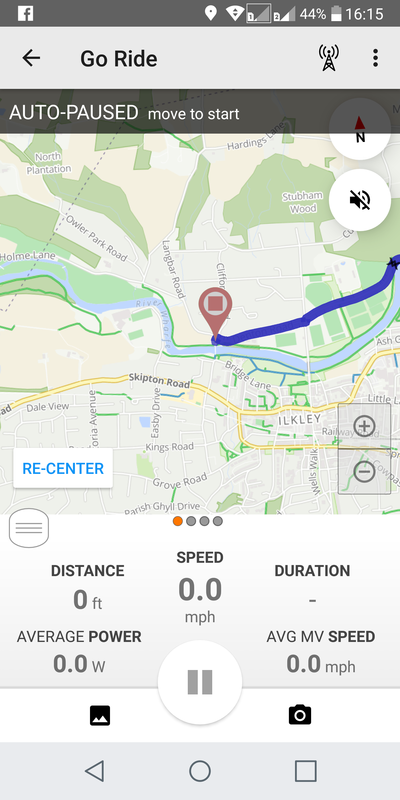 Wouldn’t a good cycling navigation app on a smartphone be handy? 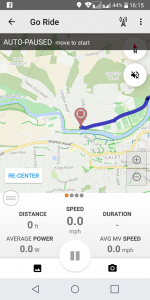 As I have related in previous posts about problems with my Garmin and trying to use my smartphone for tracking my rides, I have put some effort in to taking advantage of all the smarts that are packed into my smartphone. With just a little bit of fiddling, I was able to drop the Garmin and use my Android phone to track my rides in Strava. Although tracking a ride can be interesting later when you go back to look at what you have done, it’s not much help while you are riding. For local rides, on routes you know, tracking is about all you need. If you want to go further afield, however, you either have to rely on others, or you need a way to navigate. The old way was with a physical map, something I have a fair amount of experience squeezing into my jersey packets and pulling out to consult, mid-ride. Reading a map off a smartphone is more convenient… until you are lost and lack a data signal. Then it is really a drag! Proper navigation using a smartphone, however, took a fair amount of research and experimentation. But, not only is it possible, you can actually have a better user experience with a phone than with a dedicated GPS device if you are willing to invest a little time and money. Here’s what I learned. There are loads of phone apps that are cycling specific. Some are about tracking, some about power, others about just finding cool stuff in the area. There are just a few, however, for navigation. Some are general purpose, like Google Maps, and some are dedicated for cycling navigation, like maps.me. Each one is different and approaches the challenges of cycling navigation different. I have not tried them all and this is not a review of what is available. For a variety of reasons, I fixed on using the navigation capabilities available in the Ride with GPS app. Once I tried it… I never looked back. In most, though not all, I have had a better experience with the RidewithGPS app on my phone than with the Garmin. The user interface is way better, much more like a car satnav than the quirky, and generally unconfigurable, Garmin interface. See the basic metrics of my ride, speed (overall average, moving average), distance travelled, time, amount of ascent, etc. Listen to explicit audio turn-by-turn instructions, something which can be very handy when you are concentrating on the road, rather than looking down. Of course, outside the app I can do whatever else I need to do with my phone, such as receive calls, SMSs, emails, etc. Leave the display on all the time. Rely on the accuracy of the data, particularly the altimeter. Get various statistics that Garmin has a lot of, but the RidewithGPS cycling navigation app is much more limited in. Although I have no problems at all with phone battery life, if I had the display on all the time the battery would drain in an hour or two. There are definitely some tricks to getting the most out of your phone without killing the battery. Details on that will have to wait for a subsequent post. If you are a real geek and want accurate altimetric data, and even speeds, etc. your phone with its GPS are going to leave you unsatisfied. You can get sensors for speed and cadence that you can pair via Bluetooth to your phone for more data and more accuracy. Similarly, you can use Bluetooth with your power meter… if you are brave enough! Did I say that I am not bothered by the absolute accuracy of these things? To me, it is all relative. As long as it records the distance more-or-less accurately and I can see if I am going faster or slower, that’s plenty good enough. My goal was to have a reliable way of recording my rides and finding my way on new routes. Switching from the Garmin to the RidewithGPS cycling navigation app did that. I got some other benefits from the switch. For example, I now carry one less device. Now I worry about losing one fewer thing, and I have one less device to recharged before I go out. I’ve made a successful switch, but I had to learn a lot. I have to find an app that did what I wanted. Next, I had to figure out how best to mount the phone safely on the handlebars. Finally, I then mastered keeping the battery from draining. More to come in subsequent posts.